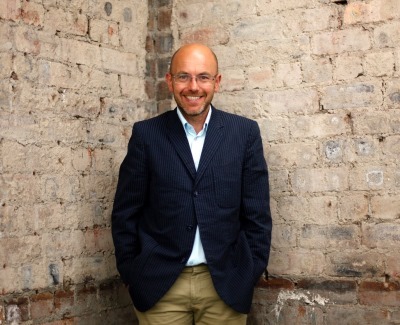 Organisers of one of Scotland’s leading visual art and design festivals, Look Again Festival, have revealed today that design icon Wayne Hemingway MBE, is coming to Aberdeen next month (Thursday April 27, 2017) to launch the event. The five-day festival – which runs from Thursday April 27 to Monday May 1 – is delivered through a partnership between Robert Gordon University (RGU) and independent art agency SMART. It celebrates the very best in visual art and design and showcases projects by internationally recognised creatives. As part of 2017 being the Scottish year of history, heritage and archaeology, many artists have delved into the city’s archives to create work which reflects the North-east’s culture – past and present. This year a campus programme will also run the week before the festival begins at RGU. Wayne Hemingway, who co-founded fashion label Red or Dead, and now runs multi-disciplinary design agency HemingwayDesign will make the most of his time north of the border and is expected to visit a number of the public artworks sited across the city. He will also host a workshop for invited guests and a public talk at the city’s Belmont Filmhouse where he will discuss his inspirational career to date and reveal how festivals can transform the places that we live in, fostering new and vibrant identities in our changing towns and cities. The acclaimed designer will share his experience of the festivals he has founded, including the Festival of Making, The Festival of Thrift and the award-winning Vintage by the Sea – offering insight and engaging in informal discussions about how the success of festivals might be used to benefit Aberdeen. Hemingway will also attend the Look Again launch party and take the role of official DJ at city venue Underdog. This year’s festival secured record funding, attracting a combined £93k through grants from the National Lottery through Creative Scotland’s Open Project Fund and Aberdeen City Council. The public body which supports the arts, screen and creative industries across Scotland contributed £73k to the annual festival – more than double its funding package in 2016. Robert Gordon University has also provided substantial support to the event. In addition to the city centre programme, which takes place between 27 April and 1 May 2017, an extensive campus showcase will be held at Robert Gordon University’s Garthdee Campus between 20 April and 24 April 2017. It will be the largest campus exhibition the university has held.